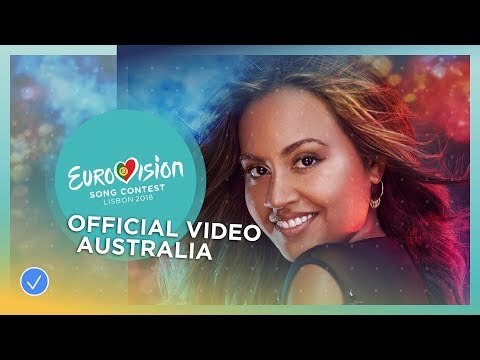 In December 2017, it was announced that Jessica Mauboy will represent Australia at Eurovision in 2018. She will perform ‘#We Got Love’, a song written by David Musumeci and Anthony Egizii. Jessica Mauboy is an Indigenous singer who born in Darwin, Australia. The singer rose to fame in 2006 when she was the runner-up on the fourth season of Australian Idol. She signed a recording contract with Sony Music Australia and released her debut live album The Journey in 2007. In the same year, Ms Mauboy joined a girl group called Young Divas however eventually left the group to pursue her solo career. In Australia, Ms Mauboy has sold over 2.5 million units and achieved 14 Top 30 hit singles from three studio albums. She also has four ARIA accredited Platinum selling albums. She has performed with international superstars including Beyoncé, Flo Rida and Chris Brown and performed on shows of both Oprah Winfrey and Ellen DeGeneres.